Davido and his girlfriend have been in the news for sometime now as they have been trending as a result of their public display of love. We brought you news yesterday about the expensive lifestyle they have been living in Dubai as well as the bracelet that is worth millions that Davido got for Chioma. Now they are at it again as both lovers showed us enviable, lovable and mind blowing pictures of themselves in Dubai. 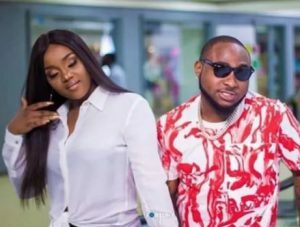 Davido took to his Instagram page to upload the pictures of himself and Chioma in an all classy romantic pose before OBO’s performance at DXB in Dubai.